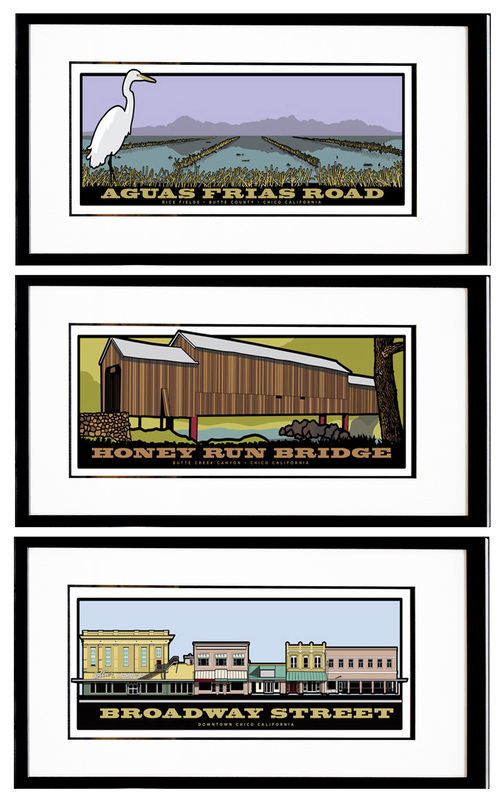 Includes all 6 Sideways Series images in a complete framed set. All images will have the same Edition Number throughout. Our "Basic" frame package for the Sideways Series Set includes all 6 prints individually framed with: acid-free foam core backing, archival double mat (Warm White top mat and Raven Black bottom mat; 2 3/4" overall viewable width, 1/4" reveal on bottom mat), standard plexi-glass, and a 3/4" smooth black, gesso coated wood frame. For other framing options, contact us. 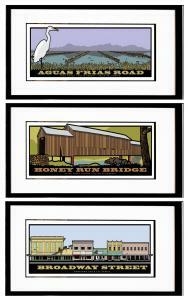 Shipping a full framed set must come in 5 boxes, as Fed Ex will not allow the artwork to be insured for more than $1000 per box. If you desire for us to ship in fewer boxes, please contact us at: sales@jakeearlyart.com and we will discuss your freight options and costs.